Please keep an eye on our blog page for informative articles about energy saving ideas. This Holiday Season, Comfort by Kodiak is offering $99* Home Energy Audits for audits scheduled before the end of the year! You love going to your relative's home for the Holidays and reconnecting with the family, but you dread spending the day in their freezing home! Offer them a Home Energy Audit and give them gift of comfort, not to mention, lower energy bills! *Price based on a 2500 square foot home. Building Science has revealed an irony: energy efficiency in our buildings also provides comfort, health, and building durability. One might think you need more energy to create this, but in fact we need less: less energy moving through the walls, floors, roofs... and people. This understanding gives rise to advanced air-sealing, insulation systems, and ventilation practices in our buildings, to build tight and ventilate right. Why do we build tight? Tight buildings reduce energy costs by preserving the heated air, and ensuring the performance of insulation systems. It's important that our customers are provided with systems that not only resists heat flow, but also seals leaks within the home. We use various types of air-sealing and insulation materials depending on your homes needs and invite you to learn about each method below. Do these look familiar? Although eye appealing, your roof doesn't think so. At Comfort by Kodiak, we only recommend a permanent solution to these dams, so say goodbye for GOOD! Ice dams are formed when warm air escapes into the attic, melting the snow into water, and re-freezing the water on the eave and in the gutters. 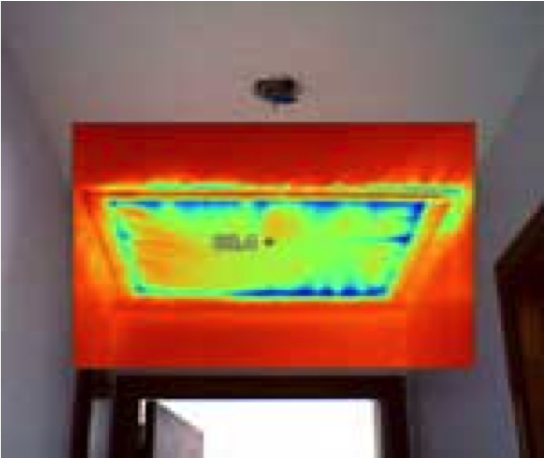 Heat should be retained in your living area during the winter and not wasted on your roof. Heat escaping into your roof is not the only problem. 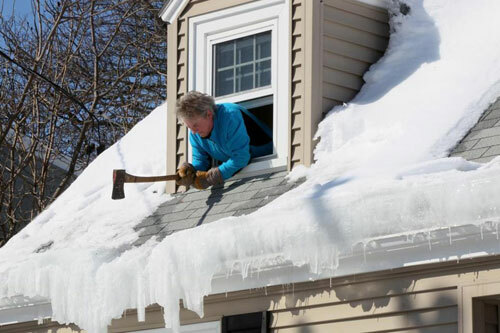 Ice dams create stress for your roof. These dams loosen shingles, tear off gutters, tear paint with water leakage and decrease the function of your insulation. Save money long term without de-icing cable. We recommend improving your attic and / or vaulted ceiling insulation and air leakage so that de-icing cable may no longer be needed. De-icing cable is an energy-intensive solution, with ongoing costs for the life of the building. The average home in the high country spends about $900 a year on de-icing cable costs! Correcting this issue with air-sealing and insulation methods is permanent and presents a one-time cost opportunity. Don't spend another winter doing this! Plus, it's bad for your roofing, and not to mention, dangerous. Choose a permanent solution that will help save you money on future damages and your energy bills. Is the temperature of your home consistently inconsistent? Are you constantly playing with your thermostat? Are you worried about the health of your home? Now is the perfect time to start thinking about how to improve the comfort of your home as the temperature starts to drop. Our goal at Comfort by Kodiak is to create a healthy, comfortable and efficient indoor environment for you. A common myth to increasing the comfort of your home is to replace the windows, think- ing this will reduce the drafts, air leakage, and save you money on energy bills. Although this may be somewhat true, windows typically only account for about 10% of air leakage issues. We take your entire home into consideration when finding air leaks, because your home works as a system. Tight buildings reduce energy costs by preserving the heated air and ensuring the performance of insulated systems. Through energy audits, with a blower door test, we are able to determine what areas of a home need to be sealed to reduce leakage. However, efficient buildings without ade- quate ventilation trap humidity and indoor pollutants that negatively affect our health. These pollutants include microbes found in carpet, household chemicals, radon, formalde- hyde, molds, lead and volatile organic chemi- cals. Many of us suffer from health issues such as frequent colds, headaches, lethargy, and asthma due to poor indoor air quality without realizing the cause. A steady supply of fresh air is needed so we can breathe easily and safely. In the high country, heat recovery ventilation is the most efficient and effective choice. You deserve to breathe in the fresh air! If comfort, health, and resource efficiency is important to you, then we urge you to consider this inverse relationship. Consult with our professional energy auditors about your home’s specific condition. Here is an example of a leaky home. Ice dams are formed when warm air escapes into the attic, melting snow into water, and re-freezing the water on the eave and in the gutters. Heat should be retained in your living area during the winter, and not wasted on your roof. At Comfort by Kodiak, we improve these issues every day. Contact us to see how we can help you live more comfortably.